Orlando Clinical Research Center (OCRC) is an independent Phase I-IV custom built 36,000 sq. ft. research site specifically designed for Phase 1 trials. The facility includes 100 in-house volunteer beds situated between 26 separate dorm-style rooms, dual lead digital telemetry, an upgraded security system with card key access and digitally recorded cameras, as well as a special treatment/observation area with 12 hospital beds (6 of which are plumbed for onsite hemodialysis). OCRC recognizes the importance of timely start-up and thorough documentation processing from initial contact through completion. We offer a full spectrum of services designed tto ensure the smooth operation and success of your trial. From study initiation to closeout, your project has a dedicated team committed to excellence… committed to you. OCRC is conveniently located in the medical district of central Florida with easy access to the Orlando International Airport, hotel accommodations, and area attractions. Centered in the nation’s most popular tourist attraction destination OCRC has accrued a broad participant base that is continually updated and replenished through referrals from advertisements, private practices, dialysis centers, universities, and retirement communities. Our dedicated recruitment staff maintains an ever-expanding and detailed database that allows us to access suitable volunteers based on important demographic input that encompasses all major groups for volunteer populations. We also have excellent relationships with the local newspaper, radio and television stations to facilitate and maintain affordable and effective advertising for studies as necessary. 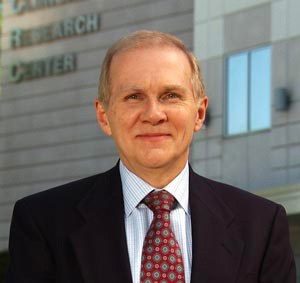 Thomas C. Marbury, MD, is one of the pioneers in clinical research and has served as Principal Investigator in over 1,100 Clinical Trials since 1978. He has published extensively in scientific and clinical journals in the area of renal and hepatic pharmacokinetics. He is the founder and President of Orlando Clinical Research Center since 1990. As the President of Orlando Clinical Research Center, his main areas of research are Phase 1 clinical trials. Dr. Marbury is a graduate of the University of Texas Medical School and is board certified in Internal Medicine and Nephrology. He did a Nephrology Fellowship at the University of Florida with Robert Cade, the inventor of Gatorade. At the encouragement and invitation of Dr Cade, he joined the full time Nephrology Faculty, directing a hypertension research lab, conducting clinical research trials, and became an Assistant Professor at the University of Florida. He was also the Head of Adult Dialysis Programs, and Chief of Nephrology at the Gainesville VA hospital. He moved to Orlando in 1981 to join a Private practice, Internal Medicine Specialists. He was Chief of Nephrology at Orlando Regional Medical Center for over 20 years and was a co-founder of several dialysis units in the Orlando area. He retired from private practice in 2000 to concentrate on his clinical research studies and devote his full time as President of Orlando Clinical Research Center.